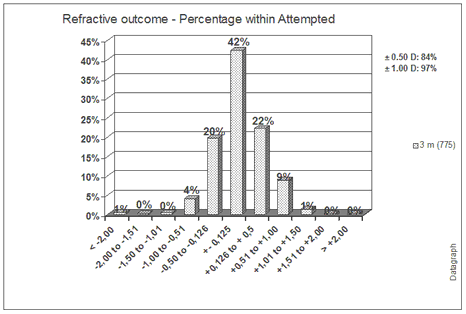 'Refractive Outcome - Percentage within Attemped' shows the percentage of patients which are within a certain range of spherical equivalent of the attempted correction. 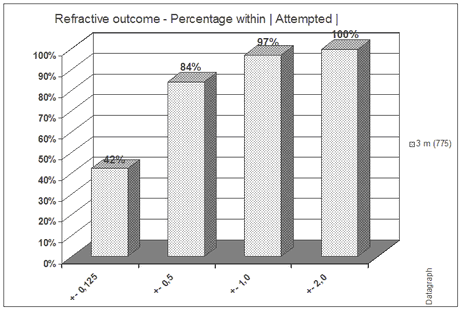 You may display the results for one or more follow-up time intervals using the left mouse button together with the ctrl. key.